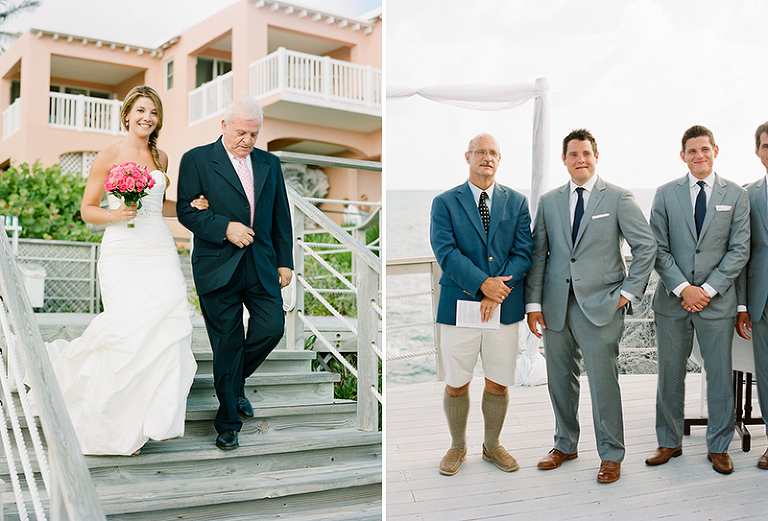 Gia and Ilia planned their destination wedding at The Reefs in Southampton, Bermuda this July! What an absolutely beautiful weekend it was, and they – and their friends and family – could NOT have been more welcoming of me and my husband. We felt like old friends, and that’s certainly my favorite way to get the best, most authentic photos! Boston natives themselves, they originally began planning a local wedding – but Gia and Ilia just felt right about stealing off to a destination location with their closest loved ones. I think every guest could feel the simple, effortless love they have, both for each other and for everyone present. No stress, just pure happiness. Something everyone deserves on their wedding day! Gia wore Ilia’s great-grandmother’s jewelry – how amazing! It was an absolute pleasure to work with local Boston design studio Paper Moss on such a stunning invitation suite! And the gorgeous bouquet by Petals in Hamilton, Bermuda. 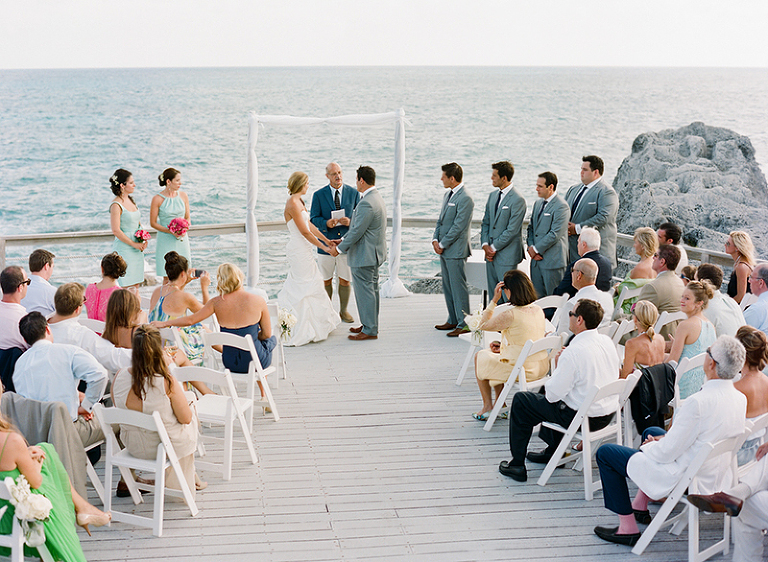 … And the most rockin’ dance floor, not a care at all to the humid Bermuda weather! Love it! Gia and Ilia, there are definitely no words for how much Gary and I love you guys! Thank you for being so incredibly generous and welcoming, and we will certainly savor our memories with you in Bermuda for a long time to come! We look forward to catching up with you soon again in Boston, and maybe some of those wildly awesome friends and family of yours too ;-) CONGRATULATIONS! Amazing! Those colors are insane…and what an incredibly happy bunch. Beautiful work, Stacey! Stacey, these are beautiful! 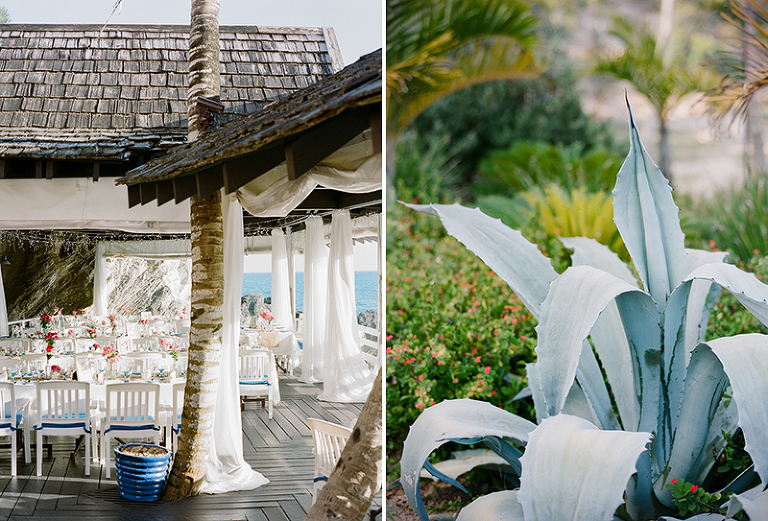 There is something so stunning about Caribbean light and how it looks on film. Gorgeous! Beautiful work, as usual. Thank you, Thank you!!! Thanks, Emily & Anna. I couldn’t have picked more perfect invites. It really set the tone for a incredible weekend. I wish I could do it all over again! love, love, love this! the color are amaing, the couple gorgeous and i love your creative papergods shots!